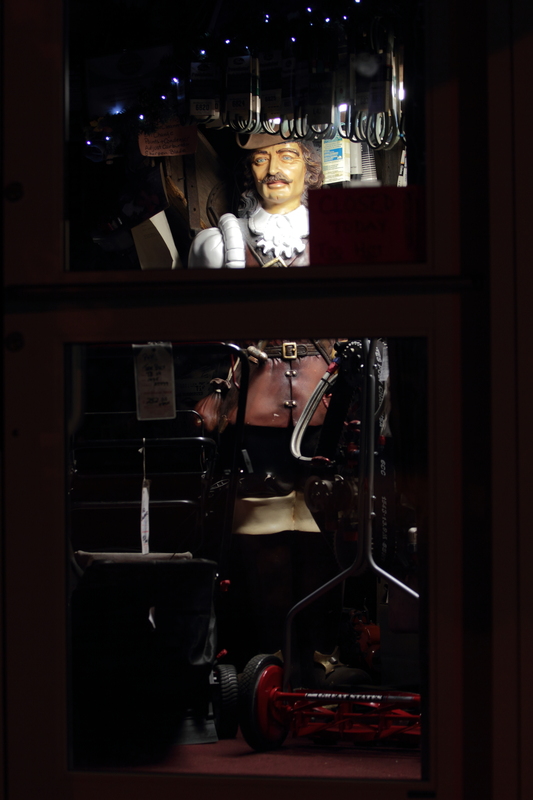 A statue of a buccaneer seen after hours at a repair shop on Massachusetts Avenue. June 21, 2012. Taxis wait for fares at the taxi stand in Arlington center. June 28, 2012. 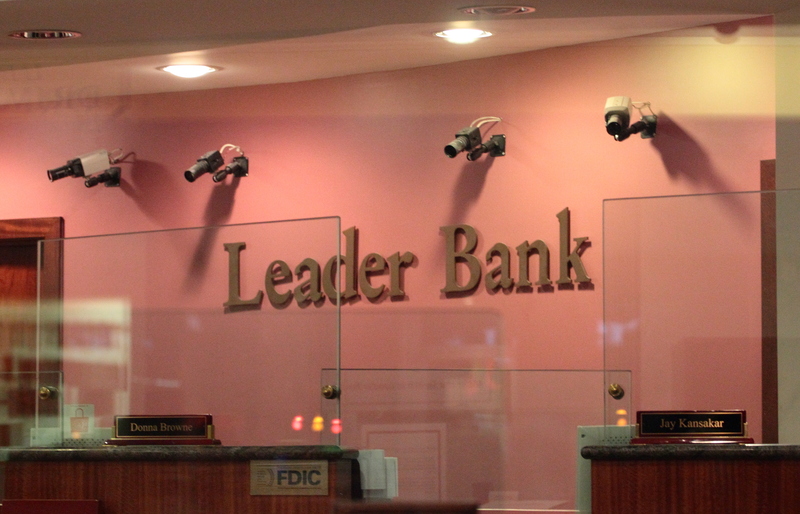 “Big brother” spotted at a bank in East Arlington on Massachusetts Avenue. June 21, 2012. 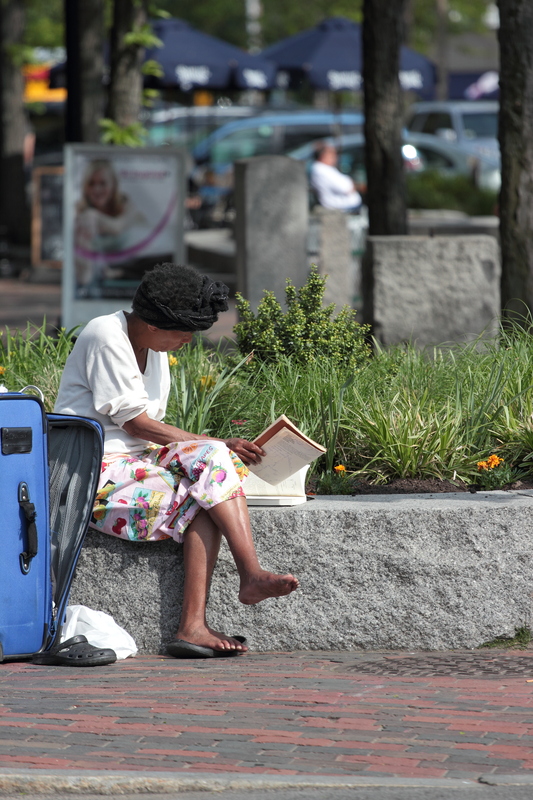 A woman sits on the edge of a large, circular stone planter in Arlington center which is almost never devoid of someone wanting a short rest. May 18, 2012. 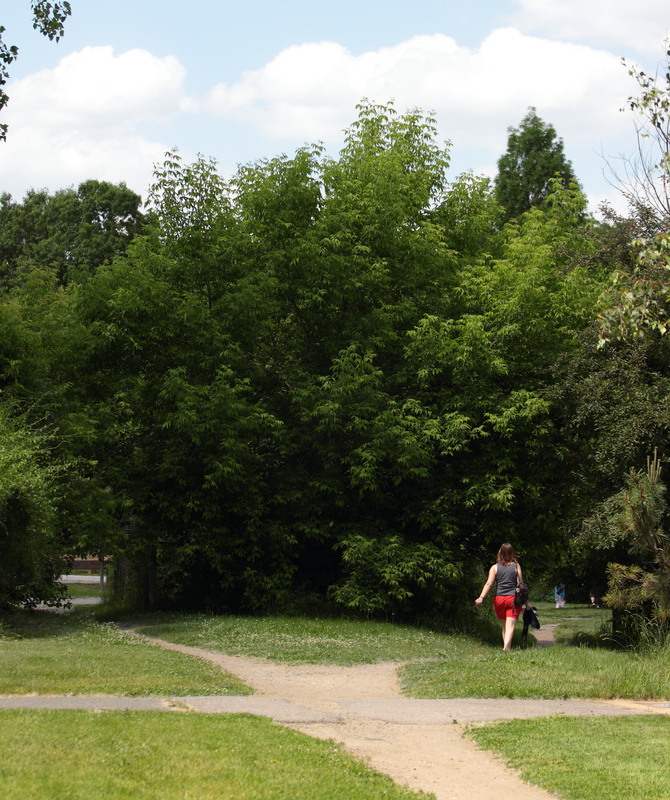 A woman takes the right path through the flora to get back on the Minuteman Bikeway at Thorndike Field. May 31, 2012. 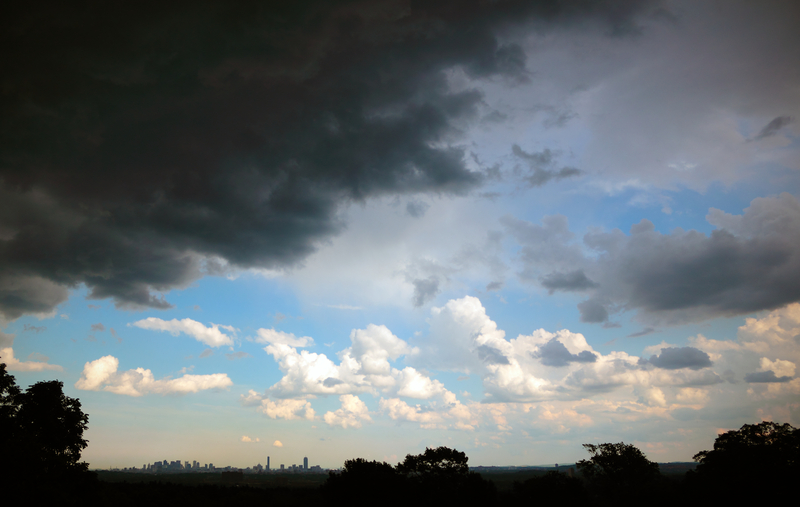 A thunderstorm moves in over Robbins Farm towards Boston. June 23, 2012. 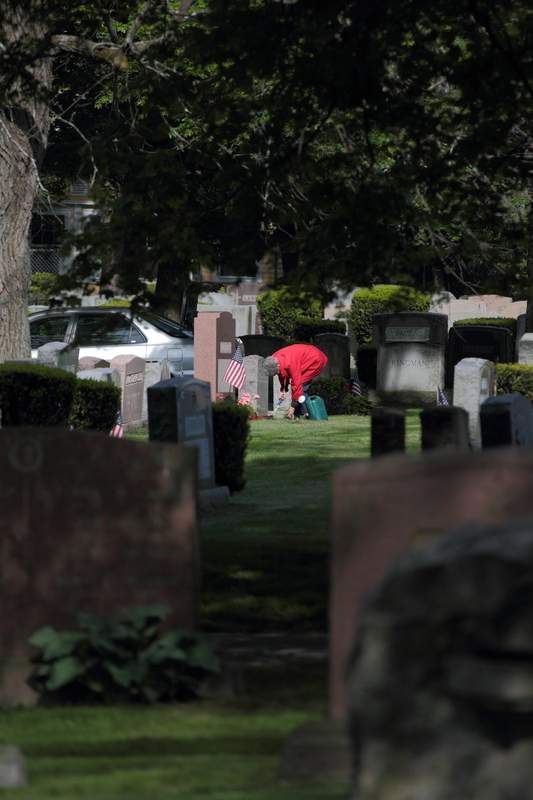 A woman in red tends the gravesite of her husband in Mount Pleasant Cemetery. May 18, 2012.